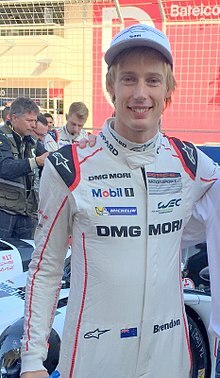 Brendon Hartley (born 10 November 1989) is a New Zealand professional racing driver who formerly competed in Formula One for Scuderia Toro Rosso. As of 2019, Hartley is a test and simulator driver for Scuderia Ferrari. He won the 2015 FIA World Endurance Championship, alongside his teammates Mark Webber and Timo Bernhard, and also went on to win the 2017 FIA World Endurance Championship alongside Bernhard and Earl Bamber. He won the 2017 24 Hours of Le Mans with Bamber and Bernhard. He made his Formula One debut for Scuderia Toro Rosso at the 2017 United States Grand Prix. Hartley was born in Palmerston North in a family well integrated within motorsport. His father, Bryan, had raced in many forms of motorsport, most notably Formula Atlantic. At the age of six, Hartley began his motor racing career in kart racing, following in his brother Nelson's footsteps. Six years later, the young New Zealander competed in his first full-scale race championship, competing in the Formula First category. Up against many seasoned veterans, Hartley finished the season in seventh. In 2003, the thirteen-year-old got his first major break as he won that year's New Zealand Formula Ford Festival which resulted in him getting a drive for the following year's Formula Ford championship. In a car his brother used the previous year, he started four races and won two of them. After a season in Formula Toyota New Zealand, Hartley moved to Europe, competing in the Eurocup Formula Renault 2.0 and Formula Renault 2.0 Northern European Cup (NEC). The New Zealander finished 14th and 10th in the Drivers' Championship in the Eurocup and North European Cup respectively, taking a podium position at Anderstorp in the latter. His second year in Formula Renault saw him stay in the Eurocup, but move from the NEC to the Italian championship. That year saw him take three wins in the Eurocup and three podiums in the Italian championship, and take the championship title in the Eurocup. In 2007 Hartley also made his Formula Three debut in the Masters of Formula 3 at Zolder event, finishing 4th. This resulted in a test with A1 Team New Zealand and the role of the rookie driver for the series. 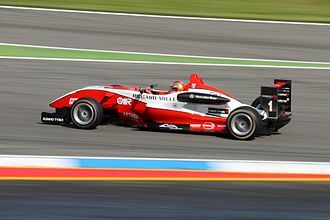 In 2008, Hartley competed in the British Formula 3 Championship for Carlin Motorsport winning five times and eventually finished the championship in third. He might have placed higher up, but for more retirements than his teammates Jaime Alguersuari and Oliver Turvey had. They each had two, while Hartley had six. He also competed in eight races in the Formula Three Euroseries for Carlin and RC Motorsport, and achieved two finishes in the points, although he was ineligible for points. In non-championship races, Hartley finished fifth at the Masters of Formula 3, and a sensational drive at the Macau Grand Prix to finish third, after crashing in the qualification race. He started 20th on the grid and recorded the fastest race lap. He stayed with Carlin for the full F3 Euroseries in 2009, finishing eleventh despite missing two rounds due to Formula Renault 3.5 Series commitments. In that series, Hartley competed for the defending champion Tech 1 Racing team, and ended fifteenth in the championship. He has been confirmed at Tech 1 for a full season of Formula Renault 3.5 in 2010, where he was partnered by Australian and fellow Red Bull Junior driver, Daniel Ricciardo. During the series' summer break it was announced that Hartley had been dropped from the Red Bull Junior Team. His seat was taken by British Formula 3 championship leader Jean-Éric Vergne. Despite the loss of his Red Bull backing, Hartley made his GP2 Series début at Monza in September, replacing Vladimir Arabadzhiev at the Coloni team. He scored a point in the season finale at Yas Marina to place 27th in the championship. For 2011, Hartley returned to Formula Renault 3.5, driving alongside Jan Charouz for the Gravity–Charouz Racing team. He also returned to GP2 for the eighth round of the series at Spa-Francorchamps, replacing Kevin Mirocha and driving alongside Johnny Cecotto Jr. in the Ocean Racing Technology team, for whom he had tested before the start of the season. He finished in fifth place in his first race with the team, and 19th in the overall championship. Hartley began the 2012 season without a drive, but returned to Ocean for the second round of the championship in Bahrain in place of Jon Lancaster. After the two rounds in Bahrain, he was in turn replaced by Víctor Guerin. He finished 25th in the championship. 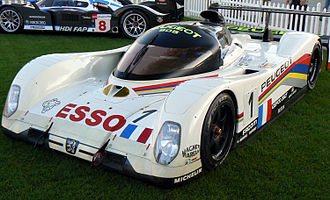 With no suitable single-seater drives available, Hartley joined the Murphy Prototypes sportscar team, which was competing in the LMP2 class in the European Le Mans Series. Following the cancellation of the second round of the ELMS championship (which would have been Hartley's début event) and the series' future in doubt, Murphy was one of several ELMS teams invited to compete as a guest entry in the 6 Hours of Spa-Francorchamps, a round of the more prestigious FIA World Endurance Championship. Driving the team's Oreca 03-Nissan, Hartley finished tenth overall and third in the LMP2 class with teammates Warren Hughes and Jody Firth. The trio teamed up again for the 24 Hours of Le Mans, but retired from the race after completing 196 laps of the circuit. In October 2017, Hartley was offered a drive in Formula One by Toro Rosso for the United States Grand Prix which was held in Austin. Hartley replaced Pierre Gasly, who was absent contesting the Super Formula Championship final. 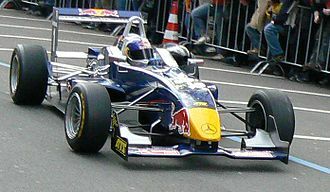 It was Hartley's F1 debut where he became the ninth New Zealander to race in Formula One. 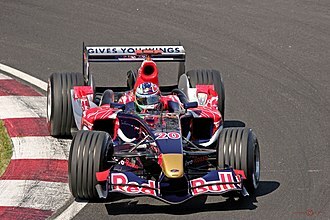 In February 2008, aged 18, Hartley got his first taste of Formula One. He was invited to perform a show run for Red Bull Racing in Riyadh. From here he performed the initial three-day shake-down test for Scuderia Toro Rosso's 2008 spec car, the STR3. In November 2008, it was announced he would be providing cover for Mark Webber, who had broken his leg in a cycling accident, by performing testing duties alongside permanent test driver Sébastien Buemi for Red Bull in the 2008 RB4 F1 car. For the 2009 season, Hartley was appointed as official reserve driver for both the Red Bull Racing and Scuderia Toro Rosso teams. However, unable to get his mandatory superlicence approved until April 2009, he was replaced in this role by retired F1 driver David Coulthard for the first races in Melbourne and Sepang. Hartley made his debut as reserve and test driver at the Spanish Grand Prix on 8 May. He is the first New Zealander to achieve F1 driver status since Mike Thackwell in 1984. He was replaced in the role by fellow Red Bull Junior driver Jaime Alguersuari for the second half of the season. However Hartley did not return to the reserve driver role with Red Bull and Toro Rosso following Jaime Alguersuari's promotion to a race seat, preferring to focus on his F3 and Renault World Series. 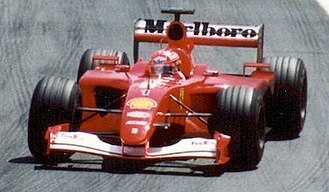 David Coulthard again took over the role. For the 2010 season, Hartley was again appointed official reserve driver for both Red Bull Racing and Scuderia Toro Rosso. He shared the reserve driver duties with his Formula Renault 3.5 teammate, Australian Daniel Ricciardo. 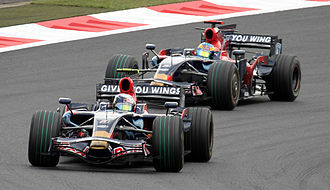 The two drivers shared the duties on a race-by-race basis until round six of the championship. Following this race, Hartley's support from Red Bull was dropped, based on the fact he had not won a race in his season and a half in the championship. On 13 September 2012, he participated in the young driver test at Magny-Cours. He drove 87 laps for Mercedes on the final day, setting the third quickest time behind Jules Bianchi (Ferrari) and Rodolfo González (Force India). Hartley said that the simulator development work and the test drive with Mercedes would give him a new opportunity to get back into Formula One. Hartley made his Formula One début for Scuderia Toro Rosso at the 2017 United States Grand Prix, replacing Pierre Gasly, who was absent to take part in the final round of the Japanese Super Formula Championship; he raced with the number 39. He qualified in 17th position after being eliminated during Qualifying 1, but started from 19th position due to engine penalties. He finished the race in 13th position, one lap down on race winner Lewis Hamilton. It was confirmed on 26 October that Hartley will remain a Toro Rosso driver for the remainder of the season, replacing Daniil Kvyat, and he chose 28 (the same number previously used by Will Stevens in 2015) as his permanent race number. On 16 November 2017 Hartley was confirmed by Toro Rosso as a full-time driver alongside Pierre Gasly for the 2018 season. Hartley only managed to score on 3 occasions during the season, in the Azerbaijan Grand Prix with tenth, German Grand Prix with tenth again and the United States Grand Prix with his highest finish in ninth, this meant he finished the season in nineteenth place, 4 places and 25 points behind his teammate, albeit with 2 more non-finishes. On 26 November 2018 it was confirmed that Hartley would not continue with Toro Rosso for 2019. He was replaced by Thai driver Alexander Albon. On 4 February 2019, Scuderia Ferrari announced that they contracted Hartley as one of their development drivers for the 2019 season, alongside former Manor and Sauber and current Formula E driver Pascal Wehrlein. Hartley was signed to drive an Oreca 03 for Murphy Prototypes in the 2012 and 2013 European Le Mans Series as well as the 2012 and 2013 24 Hours of Le Mans races. This was also complemented with a drive in the Rolex Sports Car Series for Starworks Motorsport in the Daytona Prototype category in 2013. He completed all but one round in that series due to a clash for the final round of the 2013 European Le Mans Series. Porsche announced him as a factory driver of the Porsche 919 Hybrid in the FIA World Endurance Championship. This saw a four-year purple patch for Hartley winning the 2015 and 2017 FIA World Endurance Championship. He also won the 2017 24 Hours of Le Mans and placed second in 2015 sharing the car with drivers like Timo Bernhard, former Formula One driver Mark Webber and fellow Kiwi Earl Bamber. He kept his ties with the American racing scene driving again for Starworks Motorsport in the 2014 and 2015 Daytona 24 Hours. In the 2016 Daytona 24 Hour he drove with Ford Chip Ganassi Racing. This tie saw him invited to drive for Chip Ganassi's Indycar team in 2018 but he had to decline due to securing a drive in Formula One with Toro Rosso. The 2017 WeatherTech SportsCar Championship saw him do three rounds for Extreme Speed Motorsports driving a Nissan Onroak DPi culminating in a victory at the 2017 Petit Le Mans. † Hartley was ineligible to score points. † As Hartley was a guest driver, he was ineligible to score championship points. † As Hartley was a guest driver, he was ineligible to score points. ^ "Hartley and Gasly likely line-up for 2018 – Toro Rosso". Formula1.com. Retrieved 30 October 2017. 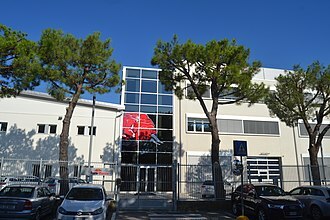 ^ "Four drivers for Scuderia Ferrari simulator". Scuderia Ferrari. 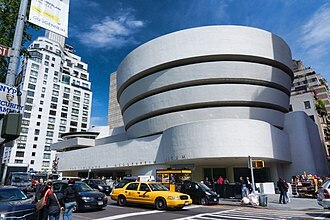 4 February 2019. Retrieved 4 February 2019. ^ Noble, Jonathan (31 December 2008). "Hartley goes Euro Series with Carlin". autosport.com. Haymarket Publications. Retrieved 7 January 2009. ^ English, Steven (15 April 2009). "Hartley joins Tech 1 for three races". autosport.com. Haymarket Publications. Retrieved 15 April 2009. ^ Saward, Joe (20 July 2010). "Who runs Red Bull Racing?". ^ Beer, Matt (8 September 2010). "Hartley joins GP2 with Coloni". autosport.com. Haymarket Publications. Retrieved 10 September 2010. ^ O'Leary, Jamie (25 August 2011). "Brendon Hartley makes GP2 return with Ocean at Spa". autosport.com. Haymarket Publications. Retrieved 29 August 2011. ^ "Ocean GP2 team hopes Jon Lancaster's absence from Bahrain round is a one-off". autosport.com. Haymarket Publications. 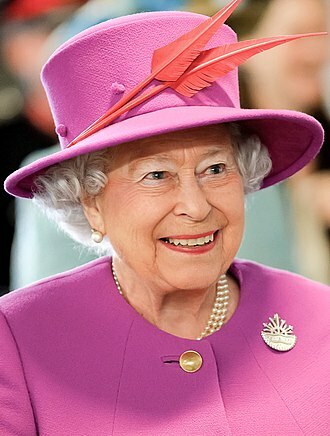 20 April 2012. Retrieved 23 April 2012. 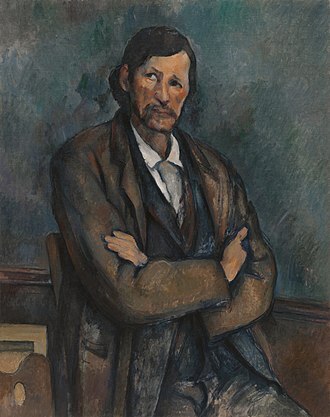 ^ Mallett, Thomas (10 May 2012). "Guerin replaces Hartley at Ocean Racing for Barcelona's GP2 race". autosport.com. 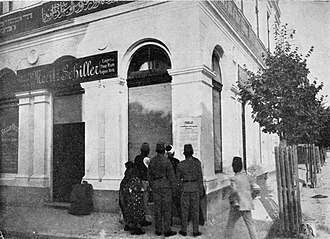 Haymarket Publications. Retrieved 15 May 2012. ^ "'I never did give up on my childhood dream!' – Brendon Hartley confirmed to be first Kiwi to race in F1 since 1984 at US Grand Prix". Retrieved 17 October 2017 – via TVNZ. ^ "Hartley to race for Toro Rosso in Austin". formula1.com. Retrieved 17 October 2017. ^ "Silence speaks louder than words in Kiwi Brendon Hartley's savage dismissal". news.com.au. 29 November 2018. Retrieved 29 November 2018. ^ "Hartley gets double role". grandprix.com. 10 March 2009. Retrieved 11 March 2009. ^ "Formula 1 News, Live Grand Prix Updates, Videos, Drivers and Results – ESPN". ESPN.com. Retrieved 17 October 2017. ^ "Hartley gains F1 superlicence". Stuff.co.nz. 1 May 2009. Retrieved 21 September 2011. ^ Beer, Matt (1 July 2009). "Alguersuari becomes Red Bull reserve". autosport.com. Haymarket. Retrieved 3 July 2009. ^ Noble, Jonathan (26 January 2010). 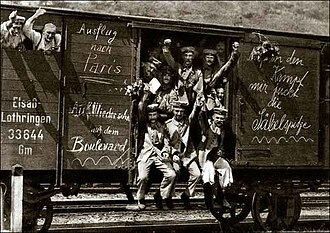 "Ricciardo, Hartley to be Red Bull reserves". Autosport. Retrieved 27 January 2010. ^ Noble, Jonathan (11 September 2012). "Brendon Hartley 'better prepared' for Mercedes F1 chance". Autosport. Retrieved 8 October 2012. ^ Beaudoin, Sabrina (13 September 2012). "F1 young driver test: Jules Bianchi stays ahead on final day". Autosport. Retrieved 8 October 2012. ^ Beaudoin, Sabrina & Noble, Jonathan (14 September 2012). "Brendon Hartley hopes F1 test leads to more opportunities". Autosport. Retrieved 8 October 2012. ^ "Brendon Hartley to race with us in Austin". Scuderia Toro Rosso. 13 October 2017. Retrieved 13 October 2017. ^ "2017 Formula 1 United States Grand Prix – Race Result". Formula One official website. 22 October 2017. Retrieved 22 October 2017. ^ Smith, Luke (26 October 2017). "F1: Hartley gets new permanent F1 number for Mexico". crash.net. Retrieved 30 October 2017. 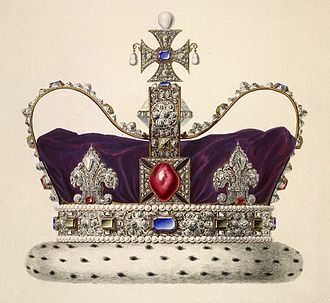 ^ Collantine, Keith (26 October 2017). "Hartley to change number for second Grand Prix". Retrieved 30 October 2017. ^ "Hartley, Gasly stay at Toro Rosso for 2018 season". motorsport.com. Retrieved 18 November 2017. 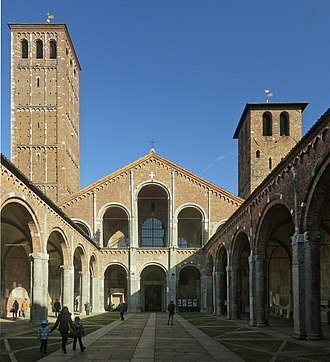 ^ "2018". StatsF1.com. Retrieved 3 December 2018. ^ "Alexander Albon replaces Brendon Hartley at Toro Rosso for 2019". Formula1.com. Retrieved 3 December 2018. ^ "Works engagement with 919 hybrid and 911 RSR". 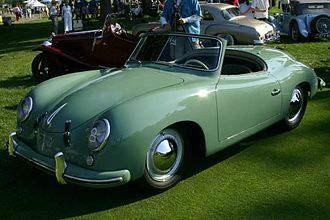 Porsche.com. Porsche. Retrieved 14 December 2013. 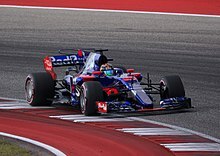 Wikimedia Commons has media related to Brendon Hartley. 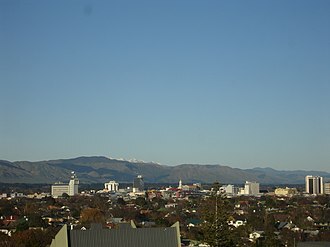 Palmerston North, commonly referred to by locals as Palmerston, or colloquially Palmy, is the main city of the Manawatu-Wanganui region of the North Island of New Zealand. Palmerston North is located inland, in the eastern Manawatu Plains, the city is 35 km from the rivers mouth and 12 km from the end of the Manawatu Gorge. It is about 140 km north of the capital, the city covers a land area of 395 square kilometres. The citys location was once more than a clearing in a forest and occupied by small communities of indigenous Māori. In the mid 19th century, it was discovered and settled by Europeans, on foundation, the settlement was bestowed the name Palmerston, in honour of Viscount Palmerston, a former Prime Minister of Great Britain. 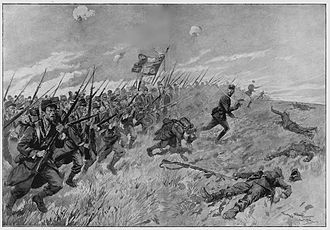 The suffix North was added in 1871 by the Post Office to distinguish the settlement from Palmerston in the South Island, the Māori transliteration of Palmerston North, is Pamutana. 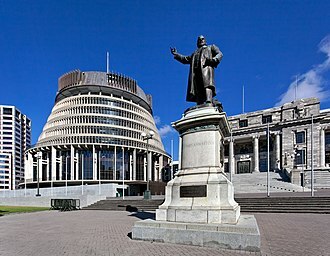 However, Te Papaioea is the preferred Māori name, Palmerston North is the countrys seventh-largest city and eighth largest urban area, with an urban population of 84,300. 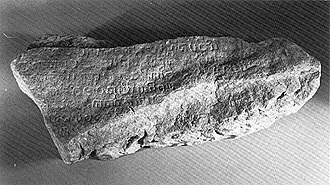 Ngāti Rangitāne were the local Māori iwi living in the known as Te Ahu-ā-Tūranga. He came on a ship and explored possibly as far inland as the site of Woodville. He reported his discovery on arrival back to Porirua, colonel Wakefield heard of the potential that the Manawatu had for development and visited in 1840. In 1846 Stephen Charles Hartley, another trader, heard from tangata whenua of a clearing in the Papaioea forest and he proceeded through the bush and forest. 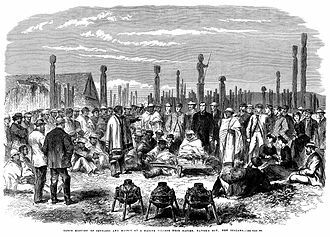 In 1858, the Government began negotiations with local iwi to purchase land in Manawatu, there was a dispute at the time between rival iwi Ngāti Rangitāne and Ngāti Raukawa as to who has the right to sell. 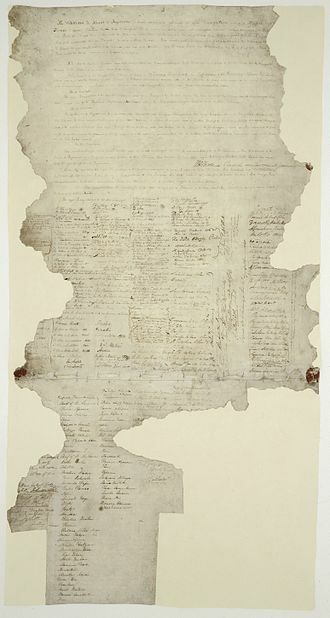 The dispute is resolved in favour of Rangitāne, in 1864, Te Ahu-a-Turanga Block was sold by Rangitāne to the Government for £12,000, in an effort to open the Manawatu to settlement. 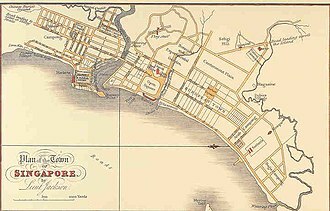 Stewart returned in 1866 on behalf of the Wellington Provincial Council and made the original survey, the focal point was an open space of 17 acres subsequently known as The Square. He is the 2014 Porsche Supercup and double Porsche Carrera Cup Asia champion, and won the 201524 Hours of Le Mans with Nico Hülkenberg and Nick Tandy. Earl Bamber was born in Whanganui, New Zealand, to Paul and Maureen Bamber and he attended Wanganui Collegiate School along with his younger brother, William. Bamber began in kart racing and won his first title aged 12, at the North Island Sprint Championships, and his first national title at the 2004 Sprint Kart Championship meeting in Auckland. Later that year, he secured a podium at the Rotax Max categorys annual Grand Final in Portugal after dominating the Junior class in the 2004 Rotax Max Challenge of New Zealand. Bamber progressed through karts and single seater series and was ranked sixth highest future star in the world by the internationally recognised website driverdb. com in 2008. At 15 he switched to the New Zealand Formula Ford Championship before competing in Asia two years where he won the Asian Formula BMW title and he achieved pole positions, fastest laps and podium results in Formula Renault V6 and Australian Formula 3, despite a tight budget. In 2008 he won two vice-championship trophies – in Formula Renault V6 Asia and Toyota Racing Series New Zealand, Bamber contested several rounds of the international A1 Grand Prix series for the New Zealand team in 2009, finishing on the podium three times. He stood on the podium in GP2 Asia, at the age of 19, in 2010 he repeated his 2008 success and was again crowned runner-up in the New Zealand Toyota Racing Series. In 2013, Bamber made his first appearance in Porsches one make series in the Porsche Carrera Cup Asia with Malaysian team and he battled all season with Martin Ragginger but eventually won the drivers championship. He was subsequently selected to race in three Porsche Supercup meetings, Bambers inaugural sportscar racing season ended with victory in the Carrera Cup Asia race at the 60th Macau Grand Prix meeting, defeating nine-time World Rally Champion Sébastien Loeb in the process. Part of the process included the simulation of a qualifying session as well as an entire race. He received funding of 200,000 Euros for his 2014 Porsche Supercup season campaign the following season, Bamber raced with FACH Auto Tech in the Porsche Supercup alongside Porsche Carrera Cups of Germany and Asia with Team 75 Bernhard and LKM Racing, respectively. After seven of the ten races, the FACH Auto Tech driver had won the rookie classification. With the support of Team 75 Bernhard, Bamber competed in ten out of eighteen rounds of the Porsche Carrera Cup Germany with two wins, five podiums and three fastest laps. 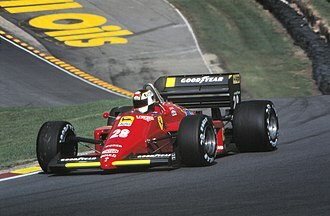 He left the series holding second position in the Drivers Championship and was seventh overall at the end of the season. Bamber replaced the injured Richard Lietz in the Porsche 911 RSR at the Petit Le Mans in the United SportsCar Championship, joining Porsche works drivers Patrick Long and their second place ensured team Porsche North America, run by Core Autosport, won the manufacturers title in the championship. Prior to the 2015 season, Bamber signed with Porsche Motorsport as a works driver, in January 2015, he and fellow works drivers Jörg Bergmeister and Frédéric Makowiecki took the No.912 Porsche 911 RSR to seventh place at the 24 Hours of Daytona. After some racing success in Australia driving Formula Ford and Formula Holden, Webber moved to the United Kingdom in 1995 to further his motorsport career. He beat future F1 World Champion Fernando Alonso, 19, Webber made his Formula One debut in 2002, scoring Minardis first points in three years at his and Stoddarts home race. 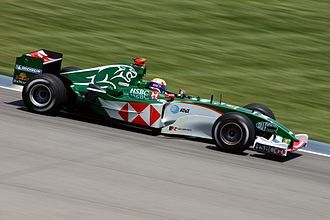 After his first season, Jaguar took him on as lead driver, during two years with the generally uncompetitive team, Webber qualified on the front two rows of the grid several times and outperformed his teammates. His first F1 win was with Red Bull at the 2009 German Grand Prix, by the end of 2009, Webber had scored eight podiums, including another victory in Brazil. His eight podiums in 2009 compares to only two podiums in the first seven years of his career and he added ten more podiums in 2010, including victories in Spain, Monaco and Hungary. Webber finished the 2010 season in place having led for a long period. Webber added another victory in the 2011 Brazilian Grand Prix, as he once again finished third behind champion Vettel. He finished the season in sixth position, Webber was a long-term director of the Grand Prix Drivers Association, the Formula One drivers union. 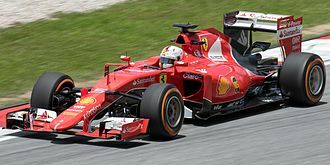 On 27 June 2013, Webber announced he would be retiring from Formula One at the end of the season and he began to race for Porsche in 2014, on a long-term deal, racing LMP1 Sportscars in the FIA World Endurance Championship. Webber is one of six drivers of the Porsche 919 Hybrid, the trio race with the #1 on their car in 2016. Webber was born in Queanbeyan, New South Wales, son of Alan Webber, a motorcycle dealer. Webber has one sister and two nieces. He attended Karabar High School in Queanbeyan for his secondary education and he began his relationship with sport at a young age, working as a ball boy for premiership winning rugby league team, the Canberra Raiders, during the late 1980s. However, motorsport was where his interest lay, listing Formula One World Champion Alain Prost, starting out racing motorcycles, Webber moved to four wheels in 1991, taking up karting at age 14. The 201224 Hours of Le Mans was the 80th running of the 24 Hours of Le Mans motor race, and formed the third round of the 2012 FIA World Endurance Championship season. It was held on 16–17 June 2012 at the Circuit de la Sarthe, Le Mans and was organised by the Automobile Club de lOuest. For the second year in a row the race was won by Marcel Fässler, Benoît Tréluyer, and André Lotterer and they were a lap ahead of their sister R18 e-tron quattro entry, and three laps ahead of a conventionally powered Audi R18 ultra. This victory made the Audi R18 e-tron quattro the first hybrid vehicle to win at Le Mans. A test session was held at the two weeks before the race, on 3 June, scheduled to avoid clashing with events within the 2012 Formula One season. The race itself was scheduled so as to avoid Formula One event clashes. For the second year, the ACO granted 56 invitations to the 24 Hours of Le Mans, some second-place finishers are granted automatic entries in certain series and events. Entries are granted for the winners of the Michelin Energy Endurance Challenge in both the American Le Mans Series and Le Mans Series. A final entry is granted to the champion in the Formula Le Mans category of the Le Mans Series, with the winner receiving their invitation in LMP2. As automatic entries are granted to teams, the teams are allowed to change their cars from the year to the next. However, automatic invitations in the two GTE categories are able to be swapped between the two based on the driver line-ups chosen by these teams. As the American Le Mans Series does not separate between the Pro and Am categories, only a single GTE invitation will be granted for their class champion. For the 56th and final entry for the 2012 running of Le Mans, the extremely lightweight car features a unique layout that is far removed from the style of Le Mans Prototypes. The project is backed by Highcroft Racing, All American Racers, in conjunction with the announcement of entries for the 2012 FIA World Endurance Championship, the ACO announced the full 56 car entry list for Le Mans, plus nine reserves. On 16 April, the ACO released an updated entry list which confirmed the withdrawal of both Dyson Racing cars, status Grand Prix and Murphy Prototypes were promoted from the reserve list in Dysons absence. Murphy Prototypes is an Irish auto racing team founded by ex-single seater racer Greg Murphy. The team is based in Dublin and currently compete in the European Le Mans Series driving an Oreca 03-Nissan in the LMP2 class as well as competing at the 24 Hours of Le Mans, the team was founded in January 2012 by former Asian Formula Three Championship driver Greg Murphy. They entered into that years European Le Mans Series in the LMP2 class with an Oreca 03-Nissan, during the opening round of the season at Paul Ricard, they bowed out early after just 64 laps but finished third at the following round in Donington. 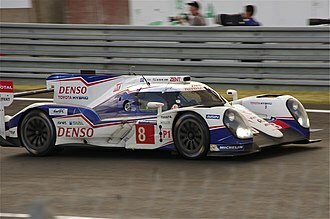 The team were accepted to compete at Le Mans along with 19 other LMP2 entrants. They fielded a strong line up which included Mercedes AMG Formula One test driver at the time Brendon Hartley who now competes in Porsches LMP1 programme. The team were competitive throughout the race and led for a number of times in the LMP2 class before a gearbox failure in the middle of the night put an end to their maiden Le Mans voyage. Timo Bernhard is a professional sports car racer from Germany. He was former Team Penske driver and currently a Porsche factory driver and he has raced for the CytoSport in the 2010 American Le Mans Series season and is a winner of the Triple Crown in endurance racing. Bernhard was born in Homburg, Saarland and he debuted in karting in 1991. He finished 5th at the CIK/FIA Junior World Championship y was crowned German junior champion, the next two years, Bernhard was 6th and 3rd at the German Karting Championship. In 1998 he moved to cars as he join the Formula Ford. In his last year in open-wheelers,1999, Bernhard finished 3rd at the German Formula Ford, for 2000, Bernhard drove in Porsche Supercup as a UPS Porsche Junior driver, finishing 3rd in the championship. In 2001, he made his American Le Mans Series debut at the 12 Hours of Sebring and he made four other ALMS starts, and won the Porsche Carrera Cup championship. In 2002 he began the season with a win in the 24 Hours of Daytona for The Racers Group. He finished second overall at the 24 Hours Nürburgring driving for Alzen Motorsport, the crowning achievement of the year was winning the GT class at the 24 Hours of Le Mans, with Kevin Buckler and Lucas Luhr. He finished 3rd in the Carrera Cup, and won his first ALMS race, Bernhard began the season by winning the 24 Hours of Daytona outright in a Porsche 911 GT3-RS, driving with Buckler, Michael Schrom, and Bergmeister. Bernhard and Bergmeister won 3 ALMS races, including Petit Le Mans and he finished 3rd at the Nürburgring 24 Hours. In 2004, Bernhard again partnered with Jörg Bergmeister in the ALMS, the duo took six wins from nine starts and won the GT class drivers championship. Their successes included class wins at Sebring and Petit Le Mans, Bernhard finished 4th overall and 2nd in class in the Spa 24 Hours. He finished on the podium at the Nürburgring 24 Hours for the 3rd straight year, Bernhard joined Romain Dumas in the ALMS for 2005. They scored four wins, and Bernhard won four poles. Murphy Prototypes Oreca 03-Nissan at the 2013 24 Hours of Le Mans. Jules Bianchi was series champion, scoring a total of nine victories during the season.